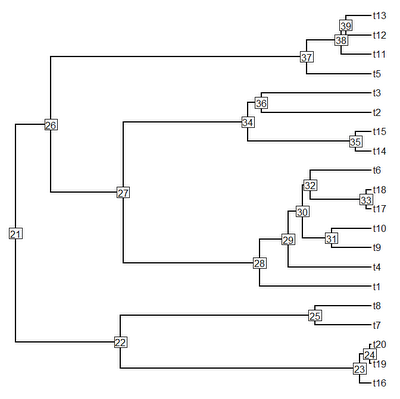 Does the phylosig function [Ed. 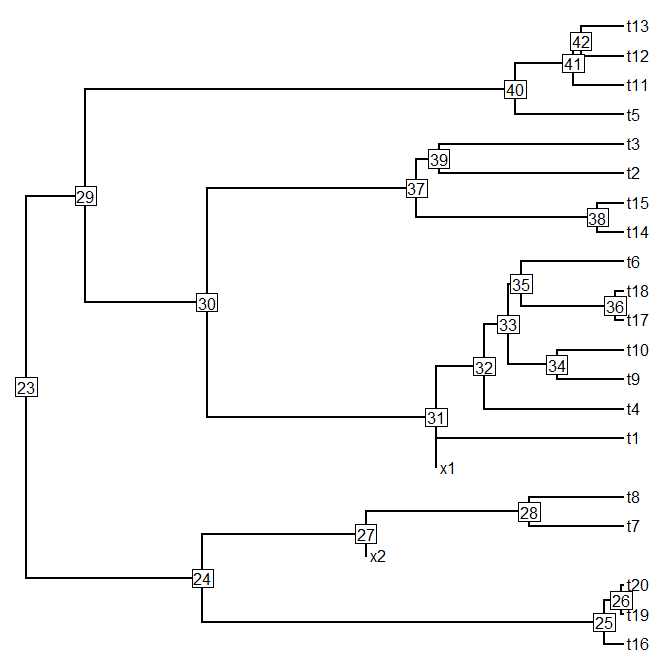 for the estimation of phylogenetic signal] work for non-ultrametric trees? 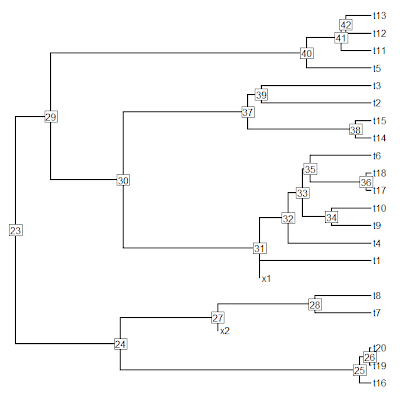 Can I include fossils in my phylogeny? The answer to both these questions is "yes"? 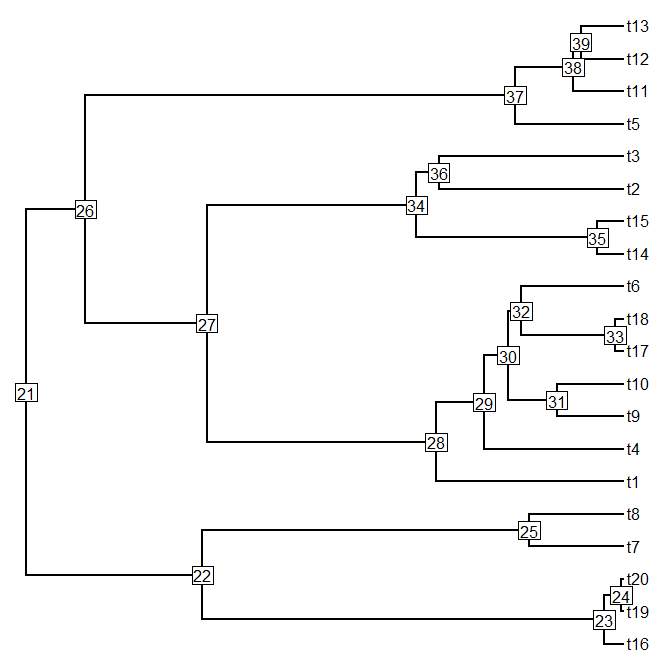 With regard to the former inquiry: I can see two main reasons for using a non-ultrametric tree in the computation of phylogenetic signal. The first is that we have some a priori reason to believe that the rate of character evolution differs strongly on different branches of the tree and we want to condition on this rate heterogeneity. The second is that we have extinct taxa (lineages terminating before the present) included in our phylogeny. In both cases we can compute phylogenetic signal for our characters of interest in the usual way. The second question pertains to including fossil data in the phylogeny. If the user is referring to the practice of including extinct taxa (fossil species) as lineages terminating before the present, then I have already answered the question. However, if what he or she wants to do is attach a datum (or multiple data) to a specific node or to a point along an internal edge, then this is a different matter. Again, it is possible, but a tiny bit more complicated. We can repeat this procedure as many times as we want - adding additional fossil phenotypes to the tree. Then we just proceed as before. 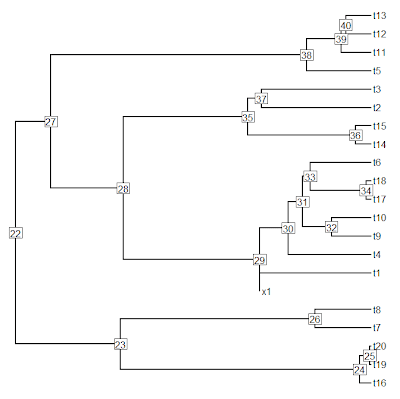 **An important addendum is that the simulation using pbtree for phylogeny simulation does not work with the current CRAN version of phytools, and thus to run the simulation exactly as detailed above, one needs to update to the latest non-CRAN phytools version. 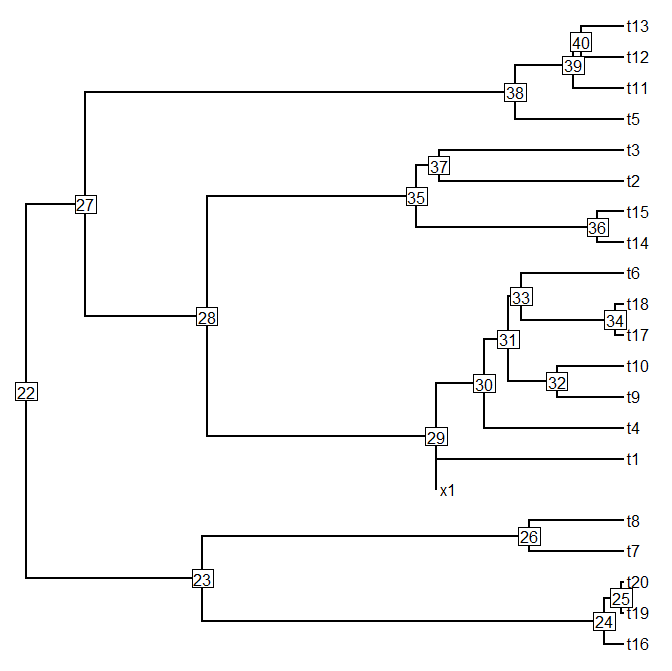 This is because of although pbtree simulates trees that are (so far as I can tell) compliant with the ape standard, ape::bind.tree nonetheless finds some problem in how edges are numbered and ordered. This will not result in an error - rather a misplacement of the attached tip in the tree. I have built a temporary fix for this problem into the newest version of pbtree, and I may describe that fix in a separate post.